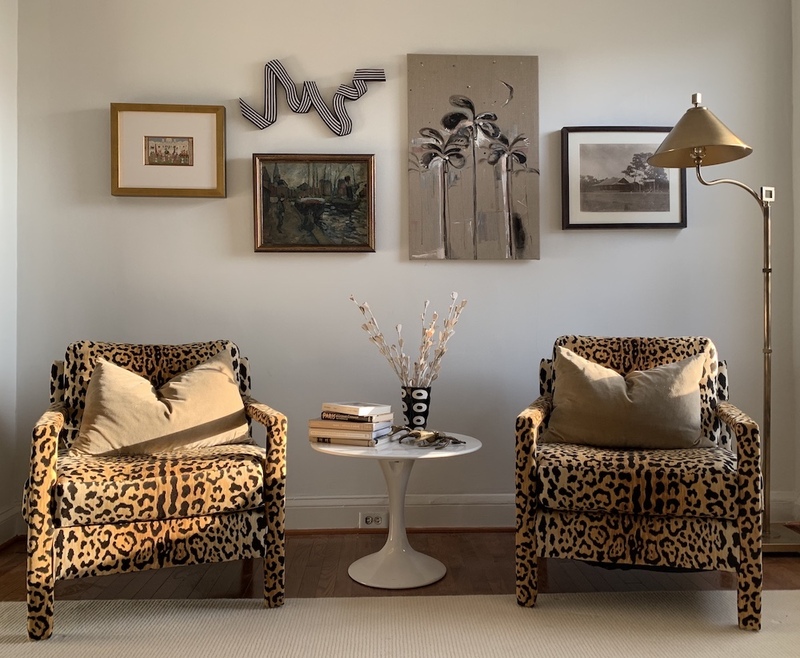 Note: It’s been over five years since I designed these leopard parsons chairs and they are still the thing I get the most emails and DM’s about so I thought they deserved a blog post. I pieced together this post using archives and backups. The original posts were published in 2013 and 2017. 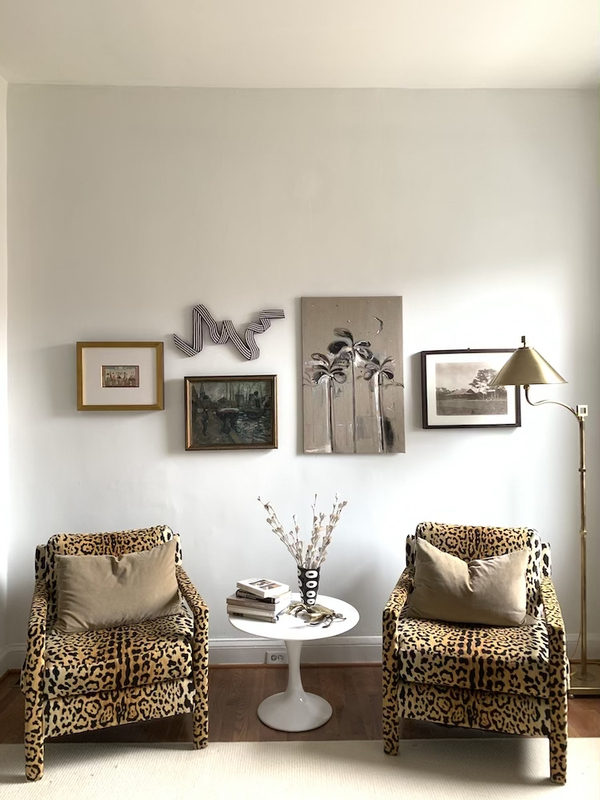 For newcomers to the blog, the short story behind these chairs is that I had always wanted some leopard print chairs. I has also always wanted some Parsons chairs. (I have a thing for chairs.) And back in the summer of 2013, I spotted a pair of vintage Parsons chairs in the waiting room of my auto body shop (you read that correctly!) so I made the owner an offer – as you do – and brought them home in the auto that they had just worked on. (I know.) 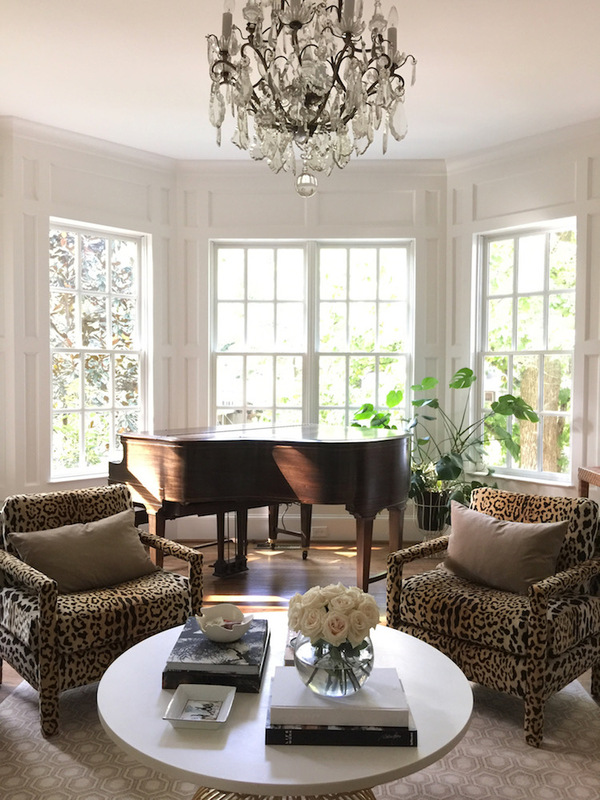 As soon as I had them in my hands, I decided they would also be the leopard chairs that I had long desired. After a lot of deliberating between fabrics, I ultimately had them reupholstered in Braemore Jamil Natural and the end result was this…..
Not to be completely obnoxious, but I would call them a bonafide hit. They got featured on numerous websites and blogs, got pinned and re-pinned, and many readers found vintage chairs and made their own versions. 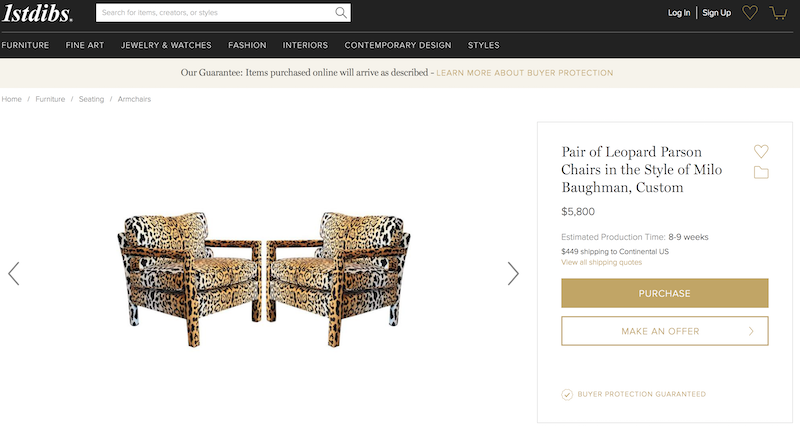 I loved getting emails with photos of leopard chairs all over the country. Thank you everyone for your emails, links, and credits! A big thanks also go out to my friends and readers who would send me emails and messages every time they spotted my photos without credit. 😉 Fabric stores were using photos of my chairs on their sales sites, an etsy seller did the same, and vintage stores even began producing their own versions of the chairs, using my photos in their catalogs. I couldn’t believe it. Then it got even more incredible. I spotted these on 1stdibs…..
That price made my eyes bug out of my head. 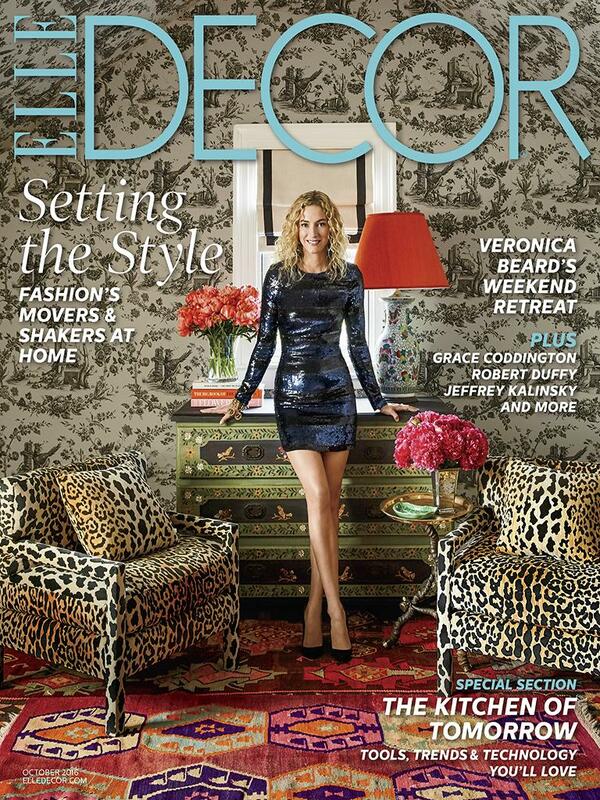 Mine were not cheap but whoa…..
Then came the Elle Decor cover….. I could never have imagined. They had officially become a thing. Now I’m going to tell you a little secret. Right around the 1stdibs sighting, I was getting a little tired of the chairs. Shocking, right? It wasn’t the chairs. It was me. I have a bit of a contrarian personality so if I see too much of something, my automatic response is to dislike it. And by the time we started organizing for our last move, I seriously considered selling them. But in the end, I just couldn’t do it because as #theOriginalLeopardParsonsChairs (as I started tagging them on Instagram), they’ll always have a special place in my heart. 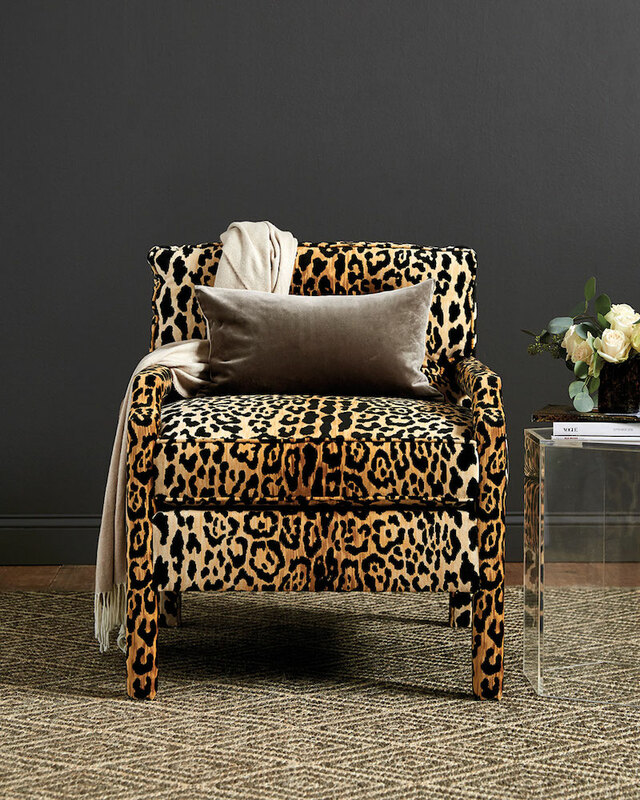 So for those of you have followed the story of the Original Leopard Parsons Chairs (some from birth! haha) and wondered where they ended up, this epilogue is for you. Thank you so much for all the love you’ve shown them over the years!